so i haven't decided how much i like doing these fit reports, but i figured since i hadn't done one in awhile that i would share. first thing, i am loving that i am able to finally run again. it has changed my life. i feel so happy, getting up in the mornings, watching the sunrise, while i jog along side of trees. since moving in with chad, my running route has become much more scenic, which i am not complaining about. secondly, yoga. i forgot how great it is. (and remember how much i love it??) i haven't gone in over six months (boy does time fly by) but am hoping that great 7 o'clock class on sundays will become a regular thing now that i am not wanting to be outside every second of every day. thirdly, i decided because i had over indulged in sugar in the earlier part of this week (i am talking multiple deserts a day, sugar is my frienemy), i needed to be healthy and have some juices as meal replacements friday evening. my boss had gone to truce and gave me some of their juices before, so after work i headed over and picked some up. juice is such a refreshing way to get nutrients in your body. and though i don't know if i could commit to a whole juice cleanse (is it sad to say that i don't think i have the self control? ), i love having juices to help balance out a healthy diet. how was your fit week? 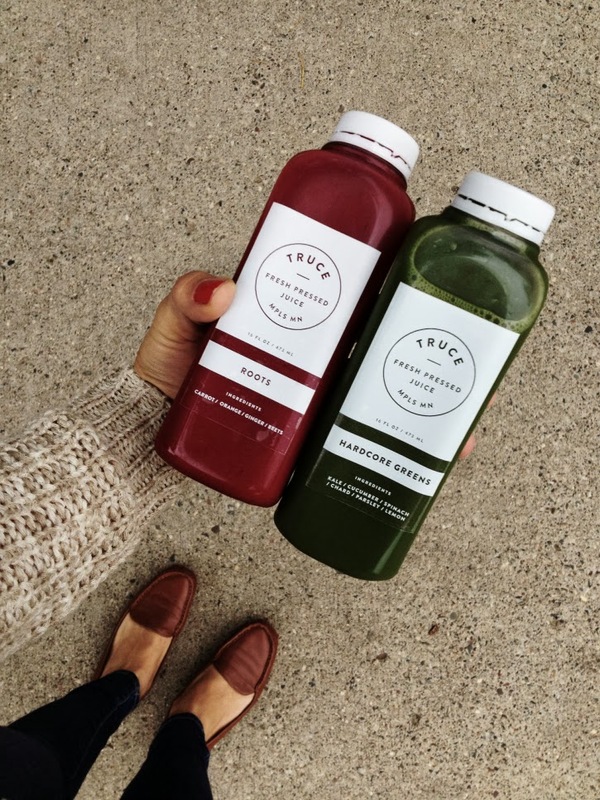 have you tried juice cleanses before? also, do i keep doing this, yay or nay? Awesome! I'm planning on getting back into yoga. I love your work out schedule. And I've never tried juicing. I've heard great things though. PS: I love your shoes! Where'd you get them? I've only recently started going for runs this summer and I can see the difference it has made. So in answer to your question...definitely yay! I'm planning on doing a 3 day juice cleanse next week! I got a 'deal' on the juices (that sounds so sketch) through Ru La La and it's on my birthday bucket list so I was like boom let's do this! I'm kind nervous! I would love to start running but every time I start I feel like an idiot!